I am always in a hunt of never ending search for perfect beauty products but it might surprise you that there are few things that have glued me over years. Well, I have been pretty consistent in my basic skincare products and so very resistant with any changes in that. 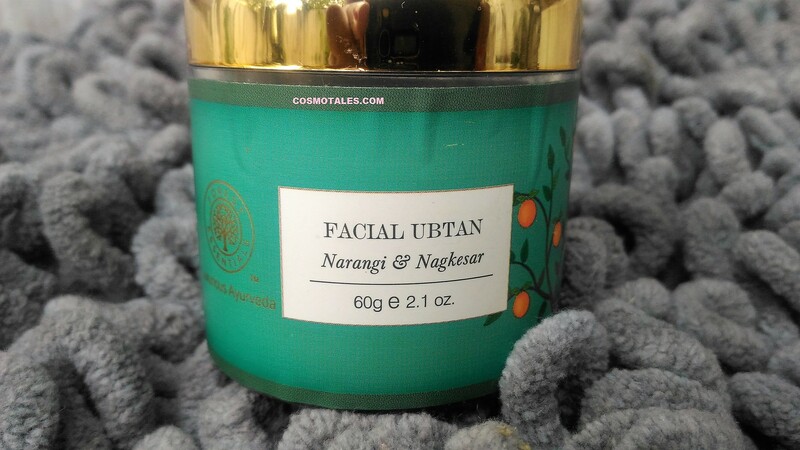 However, today I am going to review a champ on my self that have maintained its presence from almost a year now – Forest Essentials Narangi and Nagkesar Facial Ubtan, le’me tell you this one my 5th bottle and have even referred few really close BFF’s of mine. The pickup story started a year before when I got a significant amount of tan all over after spending few days on beach-side of India. Whats next as soon as I reach Delhi my search for products that hypes to remove tanning started like anything and guess what I just happened to stumble on a Forest Essential store–spa in a mall, and the aromatic fragrance compelled me to buy a this facial ubtan and since then I am in loove of this little beauty elixir. 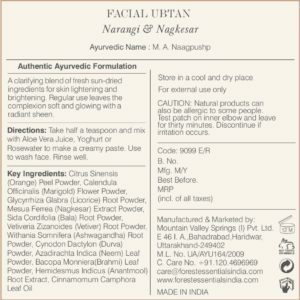 A clarifying blend of fresh sun-dried ingredients for skin lightening and brightening. Regular use leaves the complexion soft and glowing with a radiant sheen. It is very effective for skin pigmentation, and its regular usage prevents the occurrence of premature fine lines and firms and tones the skin. 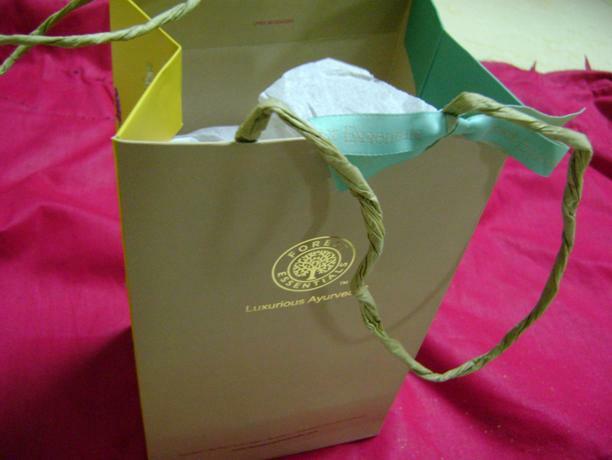 The product comes in a luxurious cube carton packaging that I really love and best part the SA gave me few dried petals inside the paper bag which kept my room fragrant for days. However inside this packaging you will find a round plastic tub which is clear and have sticker displaying product description. It has a simple golden screw-on cap on top, and a white plastic separator too which prevents the powder from spilling if you plan to travel with the tub, though it is a little big to travel with. All FE products are 100% natural and so is this. 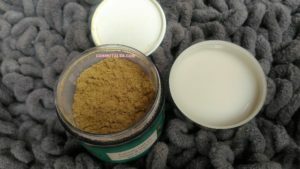 The ubtan christened cleansing scrub has dried organic ingredients that are grinded and packed withing this beautiful tub. 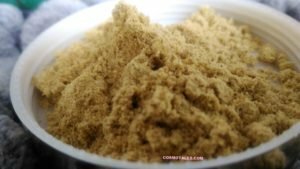 It is yellowish grinded powder which not too fine so as to work as a scrub at the same time. The texture makes it perfect to be used as cleanser, as a scrub or as a mask. I may really sound exaggerating but seriously this one took my heart and that is the reason it has always been in place on my beauty shef. When I used it for the first time after cleansing my face with a cleansing milk I just mixed the product with rose water and applied but due to its coarse nature I felt an urge to workout as a scrub as well, so I did few circular scrubbing and let it sit for 15-20 min. Washed it off with cold water and tada it has really worked, I could see a significant amount of improvement in my tanning and skin feels instantly bright though this brightness is for few hours and not for days. Though it really works for diminishing any marks, regulating sebum production with regular usage and deep cleaning. With regular use it it works multi dimensional the facial ubtan regulates oil production, clears marks without drying out skin. It is gentle enough to be used every day I somehow prefer it alternate days. 4.5 out of 5 (point 5 less just because of its price- may be a little discount would make me dance on cloud nine). 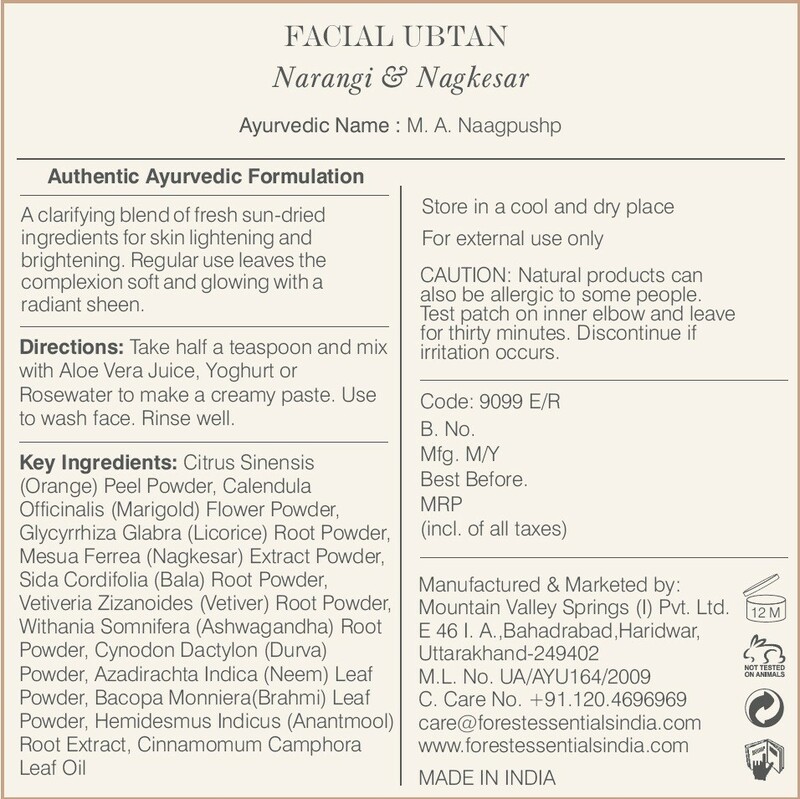 The forest Essential Narangi & Nagkesar Facial Ubtan has kept up to its claims. It does shows result and with regular usage it makes skin smother, softer and clear. Though the brightening part is not long lasting but then too it worth for a take, if you want to skip those cleansing regime just head ahead apply let it dry and wash you will feel deep cleansing feeling. The ubtan is defiantly expensive but then it worth’s because of its natural ingredients that are better then any DIY ubtan and its effect on normal to oily skin. So it is happily recommended product from my side.